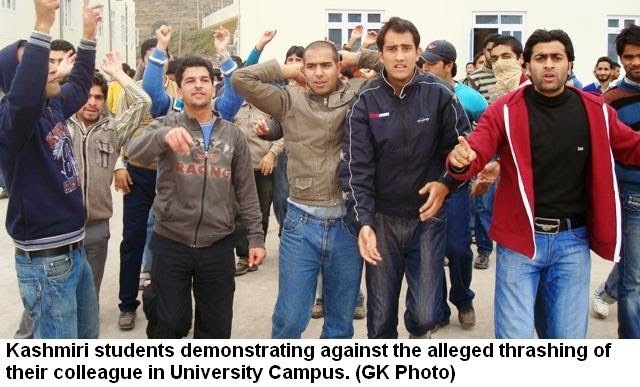 Truth by Kbaig: Increasing Violence Against Kashmiri Students in India!!! The echo of words uttered by US President Obama at Sri Fort Auditorium regarding the status of minorities in India had no subsided that Hindu extremists tortured youngsters from Indian Held Kashmir who were on internship. Extremists hiding their faces with masks tortured Kashmiri students in the crowd. According to Kashmir Media Cell this was done by Indian Secret Agencies, otherwise, how was this possible that in such a crowded city, where CCTV cameras installed for the security of Obama are still active few masked rioters attack innocent Kashmiri students and flee from the scene unidentified? Actually this is the Religious extremism which was pointed out by Obama during his visit to India; he had correctly pointed out that minorities were never so much unsafe as they are now. This was the mirror which was shown to the Hindu Extremist Narendra Modi by Obama before he left India. Torture over Kashmiri Students in India is nothing new; its history is as old as the history of sufferings of Kashmiri public since English handed over them to the Hindu state terrorism. But recent wave of such torture got momentum in March 2014 when in the Asia Cricket Tournament, India had to face defeat in the hands of Pakistan and the support of Bangladeshi spectators to Pakistan present in the Bangladeshi Cricket ground was unacceptable by extremist Hindu India as the Bangladeshi spectators supported Pakistani Cricket team on each ball. 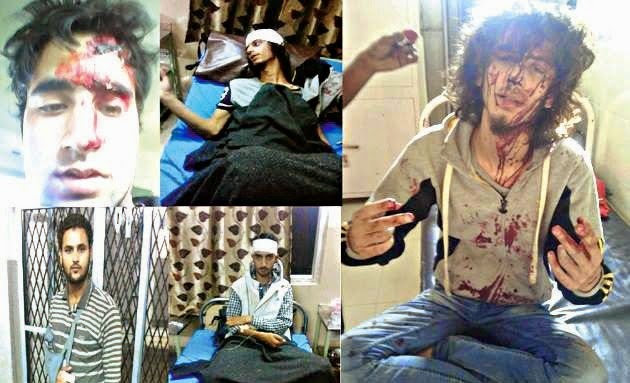 The Kashmiri students in a University at Uttar Pradesh who were charged with the crime of celebrating the victory of Pakistani Cricket team had to face the torture in the hands of the Hindu terrorists; they were tortured by the extremist Hindu students of university and hooligans of the local Member of Indian Parliament. The revenge of Extremist Hindus did not end at worst torture over 63 Kashmiri students but they were shifted to Police Station, Vice Chancellor of University struck of their name from university roll call and launched an FIR against them for treason; however, at the interference of Human Rights agencies and protests at Indian Held Kashmir (IHK) they were sent to IHK. In the same way the incident that occurred on 6 December 2014, not only unveiled that reality of Hindu Extremism but proved that Muslims are living on the pile of dynamite where a little spark would blast up the whole family, street, village or locality. 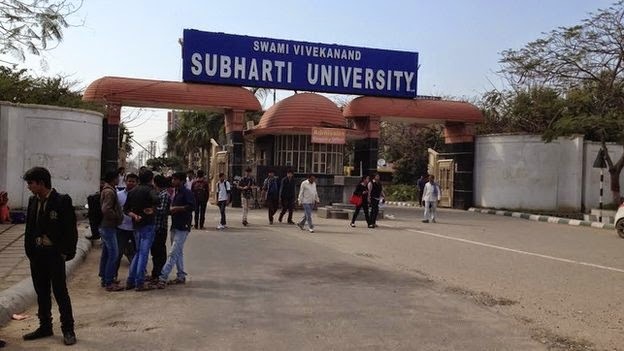 In the college of Haryana where 200 students from Kashmir are studying out of which few are Hindus from Jammu; during the break for meal one Kashmiri student had harsh talk with local Hindu student, however, on the interference of few students the quarrel came to an end. But Hindu students from Kashmir informed Hindu Purohits at Kashmir that few Muslim students from Kashmir have collectively beaten a Hindu student in the college. As a reaction to this more than 60 extremist Hindus armed with clubs, iron rods and sharp knives attacked at the college hostel and targeted Muslim inhabitants of the college, for more than one hour Hindu rioters tortured Muslim students and fired bullets in the air. During this riot neither police nor college administration felt any need to find out that by whom and why firing is being done. When Hindu extremists left the area after fulfilling their revenge; Kashmiri students on their own shifted 39 seriously injured students to hospital out of which 8 were extremely serious. On this College Administration in spite initiating inquiry against the rioters or extremist Hindus sent all the students on ten days forced leave. 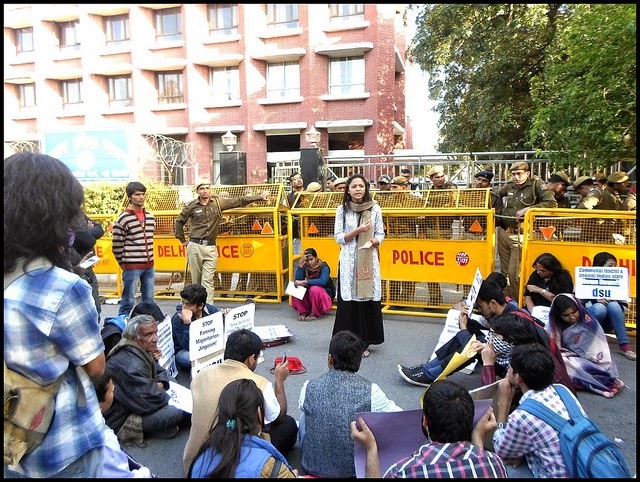 On 16 December 2014, when classes started again, Muslim Kashmiri students were absent because neither college nor Indian Police in Indian Held Kashmir was ready to safeguard them. According to the Kashmiri Leadership the torture over Kashmiri students is a conspiracy to close doors of Education upon Muslim Kashmiri students.